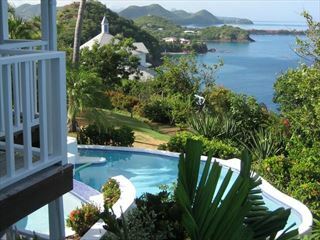 The unique setting of this villa gives panoramic ocean views and a cool tropical breeze. 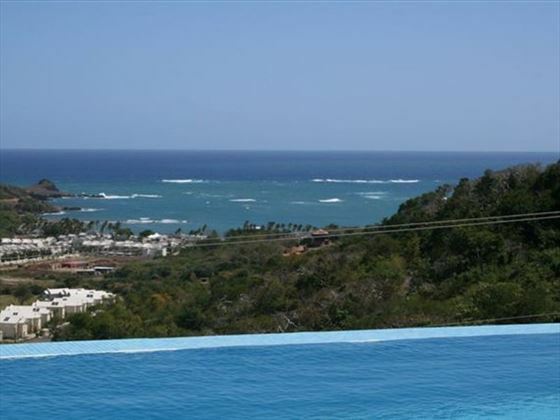 Perched on a hill top in the Cap Estate, Villa Paradisso is just a short drive from beaches, restaurants, golf, and just ten minutes away from vibrant Rodney Bay. 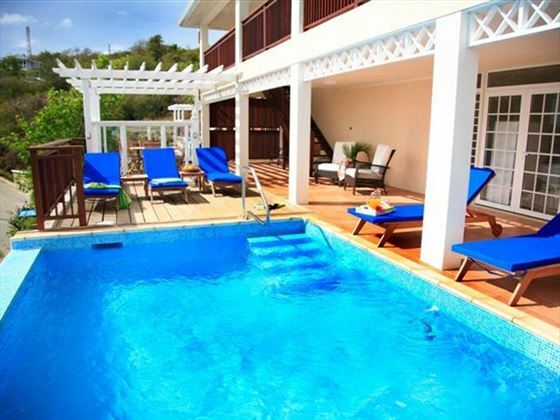 This lovely villa is spread over three floors, with every comfort for a relaxing holiday. 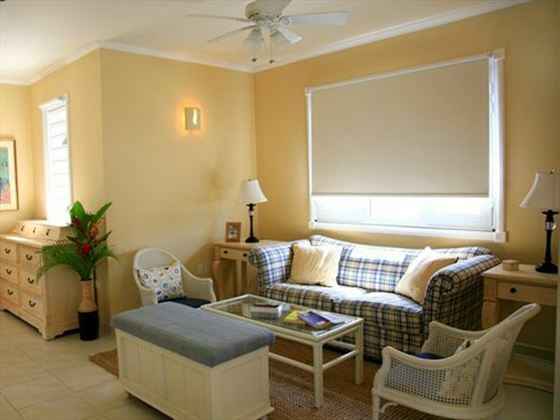 All three bedrooms are air-conditioned and en-suite, and in addition to the open plan living, dining and kitchen area, there is also an entertainment area on the top floor. 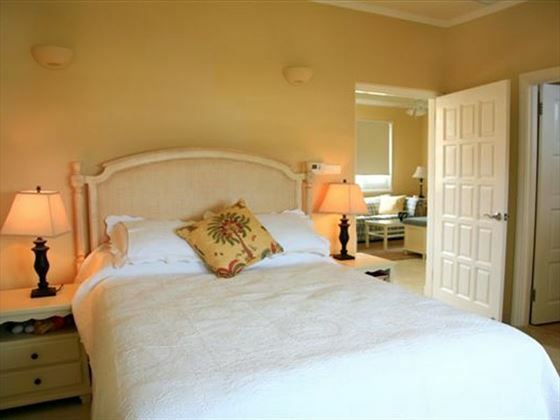 There is a fourth bedroom on the lower ground floor which can be requested at an additional charge. 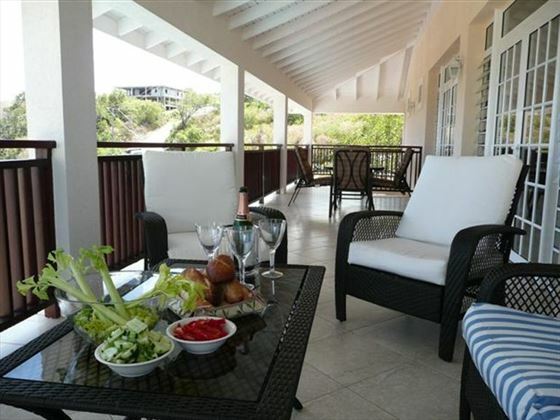 Outside, you will enjoy terraces at different levels, including the private pool, shaded areas and sunny areas, lounging and dining areas - all with lovely views. 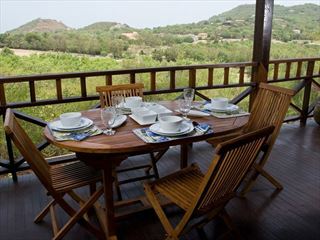 Cook service is included in the price, along with six days a week housekeeping, so sit back and soak up the atmosphere. 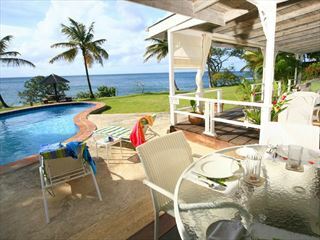 Top Tip: Enjoy a relaxed BBQ by the pool as the sun goes down, perhaps some fresh fish washed down with the local rum. 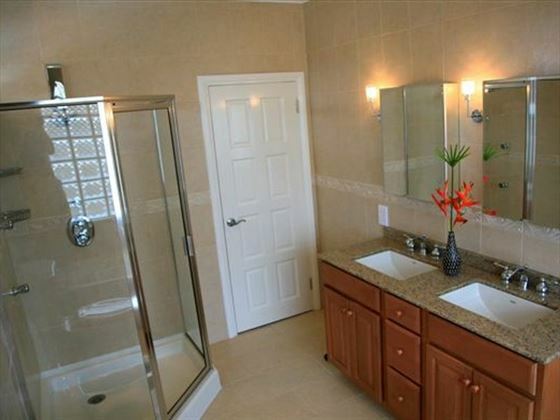 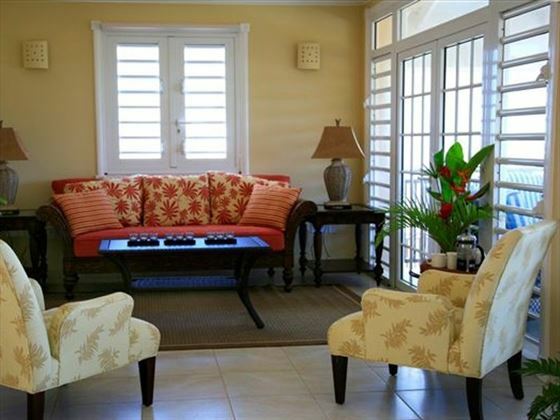 This lovely villa is located on the north western tip of the island, just a 10 minute drive from Rodney Bay. 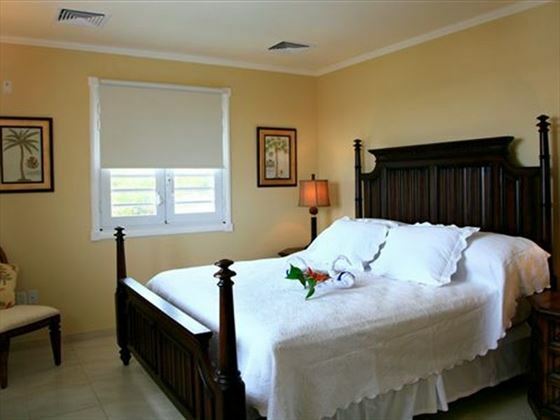 The villa offers wonderful sea views, and is only a short drive away from Rodney Bay and its great restaurants and bars. 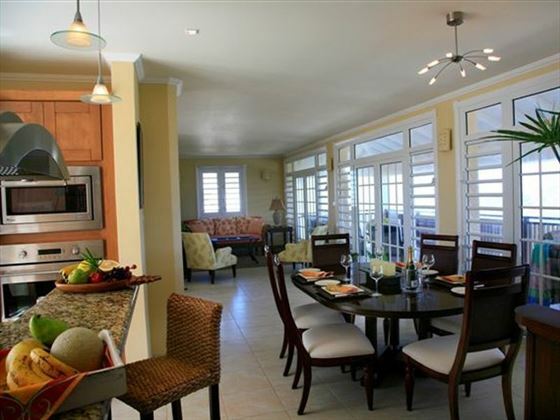 Three storey three bedroom villa sleeping six people. 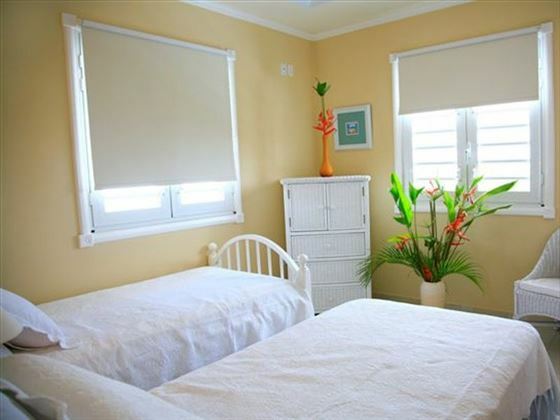 There is an additional bedroom which will sleep an additional one or two people and can be requested for an extra charge.